The Gudgels want to help you do something most people can’t do – tell the story of the Bible from beginning to end. With their 15 simple pictures, you can know and share the amazing story of God’s love for us. Do you like pictures? And stories? Most of us do. And when we put the two together we can remember just about anything. Like with photographs from a vacation, every picture helps tell the story of what you did. The fun you had. The people you were with. You had the time of your life and you can remember it and talk about it with those pictures – forever! 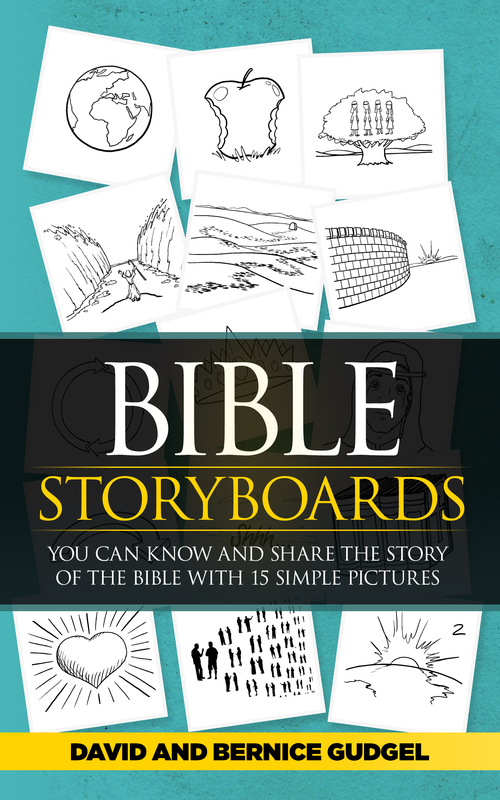 In a similar way, Bible StoryBoards will help you understand the story of God’s relentless pursuit of a loving relationship with people like us – who haven’t made it easy for Him! And it will give you fifteen simple pictures that will help you share that life-changing story with others.